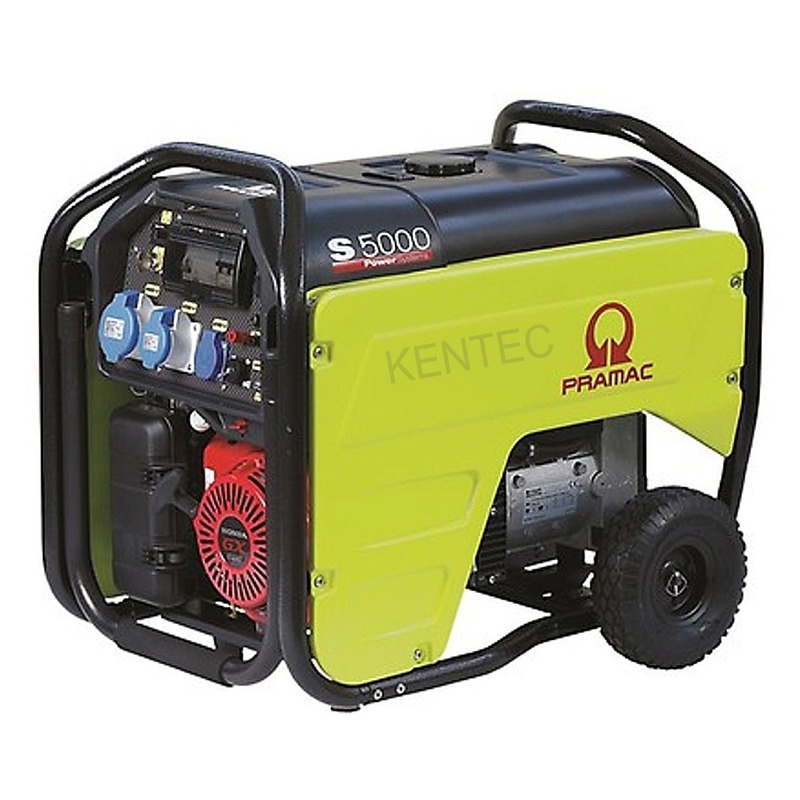 The Pramac S5000-230v electric start is a robust generator with all the features of a premium quality product with a powerful and economic engine, a strong and modern design and a long-run easy filling fuel tank. Perfect for intensive use, it's equipped with a control panel which allows to integrate many accessories and options for better comfort and for optimal command. Ready to move where power is needed being configured with a strong and compact frame with integrated handle and wheels that allows easy ergonomic transport. This Honda powered generator comes with both 230v sockets and a CONN socket for connection to an Automatic Mains Falure (AMF) system giving automatic start on mains failure. Also available are remote start systems both wired and wireless. AVR voltage control completes this impressive package. Purchasing through an Authorised Dealer is the only way to ensure that: You are buying a brand-new, Genuine Pramac Generator.Your generator will be covered by Pramac's UK warranty, any servicing or repair work will be conducted by experienced personnel. Lateral protective sheet steel covers (removable and with openings for easier maintenance). Integrated transport kit consisting of two solid rubber wheels and a non-slip rubber foldaway handle. 2 lifting points on the upper part of the frame.